At The Lake Vacation Rentals, LLC accepts: VISA, MASTERCARD and DISCOVER as well as bank drafts, certified checks and cash (cash up to $5,000). Personal checks are accepted if received no later than 30 days prior to your scheduled arrival date. When is Check-in and Check-out and where do I pick up my keys to my property? Check In: Check in time is on Saturday at 3:00 PM at our office at 60 Whittier Highway (Route 25) in Moultonborough in the Harbor Square Plaza. If you will be arriving later than 6:00 PM, please call our office to make arrangements for a late check-in. We cannot provide late check-ins for rentals with a balance due. Remember, we hate to say no, so please do not ask…we CANNOT give out keys prior to 3:00 PM. Check Out: Check-Out time is on Saturday at 10 a.m. It is critical that the property/premises be vacated by this time as cleaning crews will arrive at 10 a.m. They will not clean a home while a guest is there. PLEASE NOTE: Occupying a home beyond the check-out time will result in additional fees due from guest equivalent to one days rent for each hour, or pro-ration thereof, of occupancy beyond the check-out-time, time being of the essence. Please be sure to return keys to At The Lake Vacation Rentals, LLC upon departure. Failure to return keys to At The Lake Vacation Rentals, LLC by 11 a.m. on the day of departure will result in a $25.00 charge to guest as a replacement key will be ordered at that time. Booking online is easy and our secure booking portal gives our guests peace of mind that their transactions are encrypted and completely secure. You will receive a booking request confirmation following your online booking. This will place a hold on the property for the dates requested. However, your booking is not confirmed and your credit card will not be charged until such time as you receive a written e-mail confirmation from one of our Vacation Specialists (this e-mail will also contain your rental agreement which must be signed and returned to us within 7 days). Your reservation may be cancelled within 7 days of receiving your booking confirmation without penalty (100% of any fees paid will be refunded to you). Please review our policies for information regarding cancellations made after the 7 day grace period. Is someone available if I have questions during my stay? Absolutely! Our service to our guests and our homeowners is one of the things that sets At The Lake Vacation Rentals apart. Our office is open 7 days a week. Our summer hours are from 9 am until 5 pm, and on Saturday the office is open until 6 pm. Our winter hours are 9 am to 5 pm Monday through Saturday and 10 am to 4 pm on Sunday. We’ve made every effort to ensure that you enjoy your vacation, but we understand that sometimes an issue may arise after our office has closed. Our Guests are provided with an emergency maintenance phone number at check in so that they can reach an on-call vacation specialist after hours should an issue arise that can’t wait until the morning (e.g., septic issues, no water, lost keys) If there is a medical or fire emergency, please dial 911. The homeowner has agreed to pay for any service calls that may be needed during the term of your stay. Please note, any service calls made that are the result of guest abuse/misuse of the property shall be billable to the guest. Upon check-in, but no later than the morning following your check-in date, any pre-existing issue, broken item(s) or condition must be reported to At The Lake Vacation Rentals, LLC. We will make every effort to correct/resolve the issue as fast as we can for you. If any problems, issues or damages occur during the course of your stay, they must be reported prior to the time of departure to At The Lake Vacation Rentals, LLC. What amenities are at my property and what do you suggest I bring? We represent many private home owners offering a broad range of properties from luxury homes to the most modest of cottages on and by the lake. Homes with telephones are usually limited to local calls only and any long-distance calls made will be billable to the guest (additional collection/service fees will apply). It is highly recommended that you have a cell phone during your stay, but please know that cell phone coverage is varied in the Lakes Region and not every property will have reception. Nearly all properties have either cable or satellite television, and/or internet services. All amenities that a property has to offer will be indicated on the property listing sheet including such items as outdoor grills, swim rafts, etc. If the listing sheet does not indicate that the property has a specific amenity, please do not assume that it has it. Please ask your reservationist. All of our properties have kitchens that will provide you with the essentials needed in order to prepare everyday meals. Coffee makers and other small appliances are generally provided. All properties are equipped differently. Again, please rely upon the property listing sheet for these details or ask your reservationist if you have any questions specific to your property. Needed Items: Paper products, soaps, sheets and towels are not provided. Please note, some properties draw their water from the lake and bottled water is required for consumption. The properties water source provided on the listing information sheet for each individual property requiring bottled water. Sheets and Towels: Clean, fresh, quality sheet and towel sets specific to the needs of your property are available for rent. For an additional fee, our dedicated housekeeping crew can even make the beds for you prior to your arrival. Upon check-out, they’ll take care of removing and cleaning linens at the end of your stay. Please contact your reservationist as advance notice is required to take advantage of our linens service. Guests are also welcome to bring their own sheets and towels with them. Please note, sheets and towels are not provided by the homeowner. Do you have fresh linens available for rent? Can you make the beds for me? Yes, clean, fresh, quality sheet and towel sets specific to the needs of your property are available for rent during your stay. Our dedicated housekeeping crew can even make the beds at your property for you prior to your arrival! Upon check-out, they’ll take care of removing and cleaning linens at the end of your stay. The needs of each property are different, so please contact your reservationist for pricing. Please note, advance notice is required to take advantage of our linens service. Can I have my vacation property cleaned during my stay? Your vacation property will be squeaky clean for you when you arrive. But we get it, when you’re on vacation you just want to relax. We’re happy to offer our guests mid-week cleaning services to freshen up their vacation homes. Please ask your reservationist about pricing for mid-week cleaning services for your property. We ask that if you’d like to take advantage of our Mid-week cleaning services that you please place your request in advance. Mid-week cleanings are subject to availability of our housekeeping crews. May I have guests at my vacation property during my stay? We want you to have a relaxing vacation and we understand that entertaining family and friends is part of what makes vacationing at the lake so special. We ask that you be mindful of neighbors while you’re on vacation. Sound travels easily, especially over open water. Please be mindful of the property limits/capacities as it relates to septic system capacities and parking capabilities. No large gatherings in excess of the allowed occupancy limit are permitted during daytime hours without the consent of At The Lake Vacation Rentals, LLC and the property owner. Some of our homes are located within subdivisions or associations where there may be rules and policies that must be adhered to in conjunction with your lease of a home within that subdivision or association. For example, beach parking may have limitations or require permitting. At The Lake Vacation Rentals, LLC will provide you with documentation where needed and applicable. Please note that if it is determined that the overnight ( 8p.m. to 8 a.m. ) guest limit has been exceeded, at any point in time, guests/tenants will be considered in default of their lease and may be asked to vacate the premises. Tent camping and/or pop up campers are not allowed on any property without prior consent of the owner and At The Lake Vacation Rentals, LLC. We’re traveling with young children. The trunk is full and I can’t tie anything else down to the roof of the car! Can you help us travel lighter? Ask your reservationist about reserving items during your stay as availability is limited. There are many homes that will welcome your pet to vacation with you as you explore all the Lakes Region has to offer! However, not all properties are “Pet Friendly”. Some homeowners allow pets while others do not. Pets of any kind are specifically not allowed unless the property owner has provided written consent that Pet(s) may be kept on the premises during your stay. Please ask about bringing your pet at the time of booking. Guests/tenants or their visitors found in violation of pet restriction policies will render the Guest in violation/default of their lease and they may be asked to vacate the premises. If it is agreed that a pet may be brought on the premises, there will be a non-refundable "Pet-Fee" applied. Your lease agreement will contain the terms and conditions to allow your pet and spell out what is expected of the the pet owner(s). Pets must be collared and leashed at all times while outside of the home and never left unattended. Community or association rules may apply. Day guests are not allowed to bring pets on the property regardless of whether the property owners allow pets or not. Can I inspect my property prior to my vacation? We inspect all of our properties to make sure that they are priced competitively for the features and location offered and to assure that they are well maintained throughout our vacation rental season. We strive to make sure that the properties we represent offer the best value possible to vacationers in the Lakes Region. Regardless of these continued efforts, we strongly encourage all guests to take advantage of the 7 day right to inspect allowed by our booking policy. We provide this window to allow you to inspect your vacation home, or have someone inspect it on your behalf. What one considers a cute and cozy rustic cabin in the woods may be considered remote and insufficient by another. Beaches vary in size, shape and lake bottom texture. Due to the fact that our lake levels periodically change, water depths at the docks end can change. The amount of exposed beach can also change. Neither the owner nor At the Lake Vacation Rentals, LLC are liable for returning any sum of rent if the dock is not accessible due to varying lake levels. Max boat lengths are advertised and are based on the mean lake level. Please keep in mind that it is your responsibility to make sure that the property is well suited for your intended use and expectations. Initial Deposit: A 20% reservation deposit will be charged at time of booking. In addition to the initial deposit, a non-refundable $125.00 processing fee will be charged which allows At The Lake Vacation Rentals, LLC to securely process your rental payment on behalf of the Owner for your reservation, cover the costs of administration and compliance of the reservation lease, and provide consistent communications and customer support before, during and after your stay. Final Payment: The remaining balance, including the NH Rooms and Meals tax of 9%, is due no later than 60 days prior to your scheduled arrival (all fees are subject to the NH Rooms and Meals tax, including the processing fee). Please note that your reservation may be cancelled without further notice if final payment is not received within the time frame specified. So please, mark your calendar! In the rare instance when a security deposit is required in addition to Accidental Damage Protection, your deposit will be retained in a non-interest bearing account by At The Lake Vaction Rentals, LLC. Rather than collect a substantial security deposit from our guests, Accidental Damage Protection (ADP) for up to $3,000 is included for all of our properties. This protection covers accidental damages which may occur to the premises during your rental period; subject to exclusions and limitations. Any damages that are not covered under the policy will be the responsibility of the guest/tenant. On occasion, properties may require an additional security deposit and/or the purchase of additional Accidental Damage Protection. Your reservationist will make you aware of such a requirement. Security deposits, if required, will be refunded within 14 days of your departure, subject to final clean/clear property inspection. In the rare instance when a security deposit is required in addition to Accidental Damage Protection, your deposit will be retained in a non-interest bearing account by At The Lake Vaction Rentals, LLC. No-one enters into an agreement without the full expectation of being able to complete it. However, cancellations are sometimes unavoidable. All cancellations must be made in writing to At The Lake Vacation Rentals, LLC. If you booked your reservation more than 60 days prior to arrival you have a 7 day grace period, from the date of the booking confirmation to cancel your reservation with no penalty and any deposits made returned to you. After the 7 day grace period and up until the final payment is due, cancellation will result in forfeiture of your 20% deposit and $125 processing fee. Once the final balance had been paid (60 days prior to arrival) there will be no refunds in the event of a cancellation and tenant will forfeit the entire amount UNLESS the property is re-rented for the same time and rate. If the property is re-rented for the same time and rate, all monies EXCEPT the 20% deposit and $125 processing fee plus a $50 administrative charge will be refunded. We will make every effort to re-book the property for the same period and under the same terms and conditions. If we need to reduce the rental rate in order to re-book the property, this may be done at the sole discretion of At The Lake Vacation Rentals, LLC. If the property is re-booked at a lower rate; 80% of the original rental amount less the difference between it and the amount ultimately received will be refunded. Any refunds as provided for herein will be made within 14 days of the check-in date specified in the original lease. What do I need to do before checking out of my vacation property? You will be enjoying your vacation in a home cherished by its owner. While in your care, please treat the home as though it were your own. The property owner has made arrangements to assure that your vacation home is clean and ready for you upon arrival. Please notify us promptly if, in the unlikely event, you find this not to be the case. Be sure to keep all trash barrels/bins tightly sealed. There can be critters out there, who have not yet learned to clean up after themselves. Please be sure to return keys to At The Lake Vacation Rentals, LLC upon departure. Failure to return keys to At The Lake Vacation Rentals, LLC by 11 a.m. on the day of departure will result in a $25.00 charge to guest as a replacement key will be ordered at that time. Can I rent a boat during my stay? Absolutely, many Marinas around the lake rent boats by the day or week. Ask your reservationist as some Marinas may run special promotions for guests of At The Lake Vacation Rentals from time to time. If you are renting a boat to return to your vacation property, please make sure you have permission from At The Lake Vacation Rentals to keep the boat on the dock. Not all docks are made available by the property owner for guest use. Due to the fact that our lake levels periodically change, water depths at the dock can change. Neither the owner nor At the Lake Vacation Rentals, LLC is liable for returning any sum of rent if the dock is not accessible due to varying lake levels. Max boat lengths are advertised and are based on the mean lake level. Please be aware that New Hampshire has a mandatory boating education law and anyone who operates a motorboat over 25 horsepower on New Hampshire waters must have a boating education certificate. Minimum age to operate and obtain a certificate is 16. Under the provisions of New Hampshire RSA 270-D:14, a 14 Day Temporary Certificate is available. The 14 day certificate is a short term solution to being licensed and can only be applied for only once a calendar year. You must be at least 16 years of age and get at least an 80% to pass the test. If you fail you may take the test on another date but you must wait at least 24 hours. You must provide picture identification at the time of the test. Many facilities that rent boats also administer the temporary license test. For more information, visit the New Hampshire Department of Safety website. If you have any further questions about the 14 Day Temporary Certification option, please call the NH Boating Education Program at 1-888-254-2125. How big is Lake Winnipesaukee and how warm does the water get in the summer? Lake Winnipesaukee is the largest lake in the state of New Hampshire and the 6th largest lake in the United States that lies completely within its boarders. Lake Winnipesaukee is 28 miles long and 15 miles wide (at its widest point). The depth of the lake is, on average, about 60 feet deep, but in an area of the lake called “The Broads”, water depths exceed 200ft. Lake Winnipesaukee is renowned for its crystal clear water due to the fact that its watershed consists of natural springs, so it is fed pure, filtered water rather than silted runoff from rivers. This beautiful blue water makes for perfect swimming. Water temperatures can reach the mid to high 70’s during July and August and good swimming weather can last well into September. For boating enthusiasts, Lake Winnipesaukee offers an unparalleled opportunity for families to get out on the water and explore the lake’s 72 square mile footprint. Do you offer vacation rentals in the Fall? Yes! New Hampshire’s Lakes Region is widely known as a summer retreat, but the Fall season is absolutely breathtaking as the leaves change color around the lakes to beautiful shades of red, yellow and orange. Do you offer vacation rentals in the Winter? Yes! New Hampshire Magazine writes “For those in the know, winter is the “secret season” on and around Lake Winnipesaukee.” The Lakes Region is beautiful during winter as fresh snow often covers the lakes and surrounding mountains. There’s plenty of fun to be had from renowned ski resorts that offer majestic views, night skiing and snow tubing to snowshoeing, ice-fishing and pond hockey. Moultonborough and the surrounding Lakes Region also has an extensive network snowmobile trails with terrain that ranges from winding mountain climbs to the vast expanse of a frozen Lake Winnipesaukee and Squam Lake. Always use caution and consult NH Fish and Game before venturing out onto the ice. What is the closest airport to the Lake? Manchester-Boston Regional Airport (MHT) is the closest commercial airport to the Lakes Region. The airport is approximately 1 hour (60 miles) from the Lakes Region. Manchester is served by Southwest, American, Delta and United. Boston Logan International Airport (BOS) is approximately 2 hours (100 miles) from the Lakes Region (depending on traffic). Logan is served by most domestic and international airlines. The Lakes Region has (2) general aviation airports: Laconia Municipal Airport (KLCI) and Moultonborough Airport (5M3). 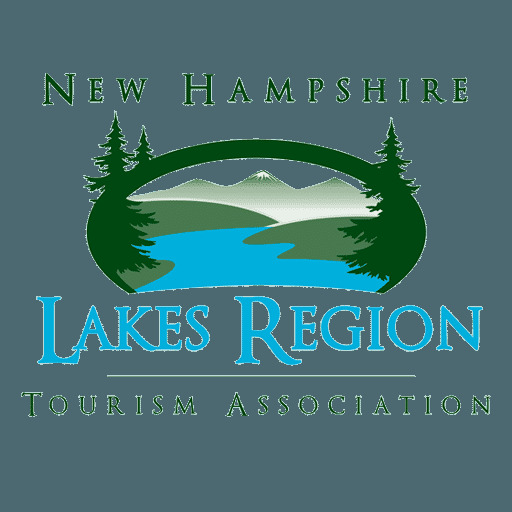 Lakes Region Airport Shuttle offers convenient shuttle service for guests to and from the Lakes Region to Manchester-Boston Regional Airport, Boston Logan International Airport and Boston South Station (Amtrak and bus service). Call (603) 286-8181 for more information. I’ve fallen in love with the Lakes Region. Can you help me find a place of my own? We’d love to help you find a lake home of your very own! In a second home market, such as New Hampshire’s Lakes Region, it is especially important to work with a knowledgeable REALTOR as there are so many nuances to consider. Waterfront properties are valued based upon a wide array of considerations including exposure, location, quality of water frontage, and income potential (just to name a few). Many of the finest properties in Lakes Region are not easily found in what are sometimes "off the beaten path" locations. Jim Mardis, a licensed REALTOR with Berkshire Hathaway HomeServices in Moultonborough has over 35 years of experience helping families find their perfect home on the lake! How Do Advance Reservation Requests Work? Advance Reservation Requests are offered for the convenience of our guests that wish to request in advance a specific property for specific dates during the next calendar year before our inventory has been finalized. An Advance Reservation Request does not guarantee the availability of a property for rent or its rental rate for the dates you are inquiring about. The availability of a property for rent, the rental rate, and any changes to the property or its amenities, are established solely by the homeowner. When you submit an Advance Reservation Request online, one of our vacation rental specialists will follow up with you to confirm the details of your request. Once the property availability and terms have been finalized for the dates you’ve inquired about, your vacation rental specialist will reach out by phone and/or email. 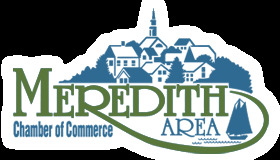 Advance Reservation Requests are taken as a courtesy and shall not be considered binding until a booking has been confirmed by the At The Lake Vacation Rentals, LLC and the vacation rental agreement has been signed.